Alpinestars is an Italian manufacturer of motocross equipment with more than 50 years of experience. The Alpinestars youth motocross boots are the result of years of development with the best motocross riders in the world. 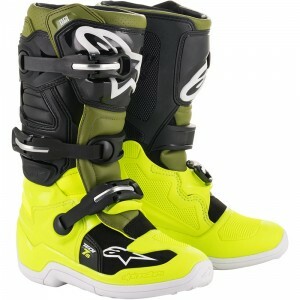 Motocross riders like Jeffrey Herlings, Marvin Musquin and Eli Tomac use the Alpinestars boots to fight for first place. 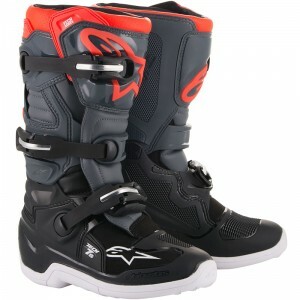 The motocross boots have improved considerably in recent years thanks to the use of innovative production and design techniques. Nowadays the design and calculations are mainly executed by computer. 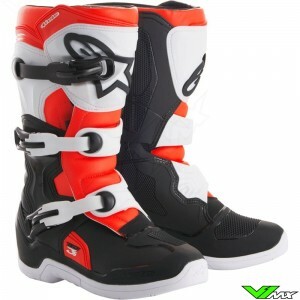 This helps to design a lightweight motocross boot that offers maximum protection for the rider. 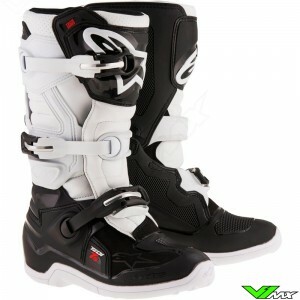 In addition, Alpinestars has a team with years of experience in designing high quality boots. The Alpinestars team continues to innovate and this results in motocross boots for children that deliver outstanding performance in terms of protection, comfort and freedom of movement. 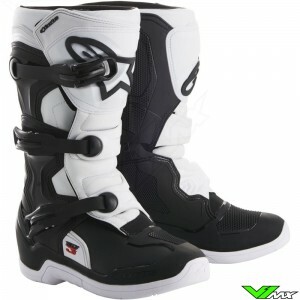 Alpinestars currently produces 2 types of motocross boots for children. The most advanced model is the Tech 7s. This has many technical features from adults boots in a smaller version. It is specially designed around the body sizes and characteristics of kids. 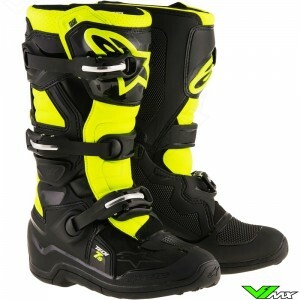 The cheaper model of Alpinestars is the Tech 3s. The Alpinestars Tech 3s is available in small size to protect even the youngest riders. It starts with size 28 and runs up to size 42. Young riders can grow quickly and that’s why Alpinestars has a special sole that can be used to adjust the size of these children motocross boots. The fitting sole is supplied with the Tech 3s from size 28 to size 37. Furthermore, this model offers excellent protection due to the innovative structure that minimizes the chance of over extension. 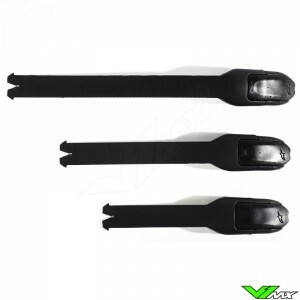 It is also equipped with Tech 10 style buckle system which provides an accurate and secure closure that is easy to use. 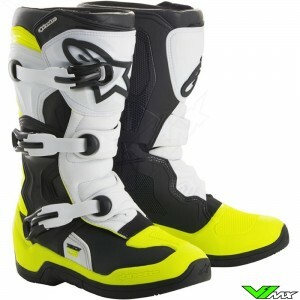 Do you have a question about the motocross boots for children? Ask your question by sending a chat message via the webshop or send an e-mail. V1mx will gladly help you with ordering the right motocross gear. Thanks to our extensive range of kids motocross gear and knowledge of products, we can possibly help you.